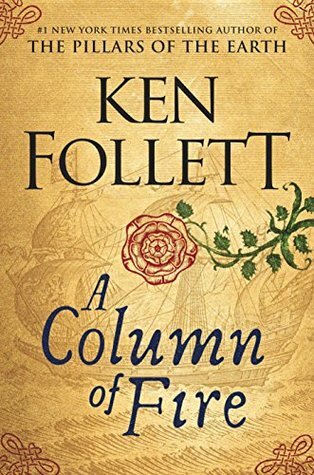 I was first introduced to Ken Follett back in 2009 when I took my first trip to London. I needed something long enough that I would not read it all by the time the flight was over and long enough that I wouldn’t have to buy another book while I was there. One of my friends recommended The Pillars of the Earth. I wasn’t going to read it but she brought it for me and I felt bad saying no. Ironically, all I remember of that trip was how much I loved that book! That book was fantastic. I loved everything about it. I remember staying up way too late reading it. Taking it with us on every single tour bus and reading every chance I got. I loved that book so much. I didn’t read the second book in the series World Without End, because I honestly felt like there was no need to make this into a series. 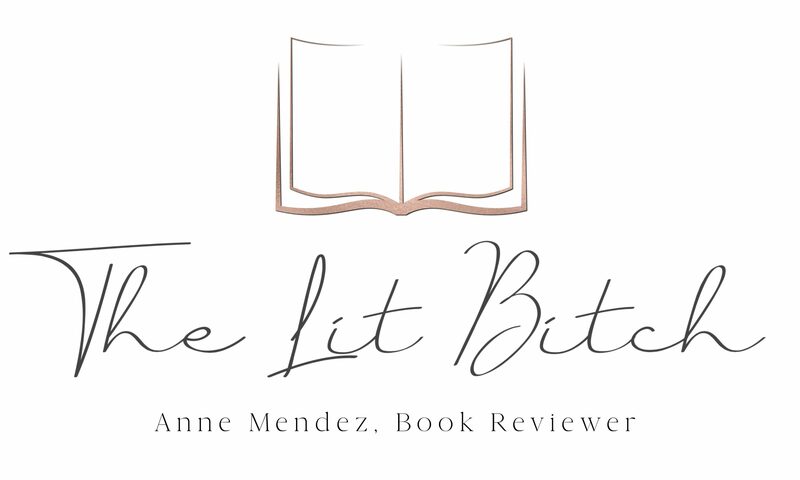 It was so good as a stand alone and when the first book ended–it ended. I didn’t think a follow up was warranted. Over the years I have considered reading the second book but it was never really high on my priority reading list because I felt so strongly that this didn’t need to be made into a series. So flash forward almost 9 years and here I am reading the third book in the Kingsbridge series, A Column of Fire. Did I ever read the second book—no. So why pick up this one? I have no real reason other than I know that Follett is an outstanding writer and I was willing to have a little faith. Ned Willard wants nothing more than to marry Margery Fitzgerald. But when the lovers find themselves on opposing sides of the religious conflict dividing the country, Ned goes to work for Princess Elizabeth. When she becomes queen, all Europe turns against England. The shrewd, determined young monarch sets up the country’s first secret service to give her early warning of assassination plots, rebellions, and invasion plans. Over a turbulent half-century, the love between Ned and Margery seems doomed as extremism sparks violence from Edinburgh to Geneva. Elizabeth clings to her throne and her principles, protected by a small, dedicated group of resourceful spies and courageous secret agents. The real enemies, then as now, are not the rival religions. The true battle pitches those who believe in tolerance and compromise against the tyrants who would impose their ideas on everyone else—no matter what the cost (summary from Goodreads). So let’s get the bad out of the way first…..was this book as good as Pillars? No. Did I need to read the second book to follow along in the series? No. Did I feel like I missed anything by skipping ahead? No. This book was good by itself and read as a stand alone for me, but I just didn’t like it as well as I liked Pillars. The only reason I can think of was this…..I felt like I had read something like it before. I’ve read a lot of books set in the Tudor period and I just feel like it’s often an over done period. I think one of the things that drew me to Pillars was that it was more Medieval England rather than Tudor England. I also felt like this book moved away from his earlier style…..this book seemed more about the religious conflicts than the lives of the Kingsbridge citizens. Follett address a lot of larger historical issues rather than focusing on the characters, which is fine in of itself but it was just a marked difference between his earlier book. As I mentioned before, with Pillars, I felt like it was fine on it’s own and didn’t warrant a series….I still feel that way. However, about the only thing that gave this book away as a ‘series’ was the location and the some of the family names. I believe this could easily be read as a stand alone without any problems. So for me comparing this one to Pillars is natural and when done, I still place Pillar first–but yet when looked at in it’s own right–it is a great book with a tremendous scope and lots of things to love and drive the reader forward. I happily read the entire book without feeling like it was daunting or boring (it came in at around 900 pages) which is hard to do when a book runs that long. Follett’s ability to keep me reading is a testament to his ability as a writer. In the end I was happy that I decided to review this one. I actually felt inspired to go back and re-read Pillars and also read World Without End just because I love his writing and historical research so very much. If you haven’t read Ken Follett yet, you are truly missing out. His work is always well researched with someone for everyone…..romance, history, battles, and intriguing plots. I loved being immersed in his world. Start anywhere in the Kingbridge series and you will not be disappointed!